KAKYEKA – Mbarara City registered a 7th home victory of the campaign thanks to a 3-0 victory over Kirinya JSS on Wednesday afternoon. Goals from Makweth Awol, Paul Mucureezi and Jude Ssemugabi were enough to ensure the Ankole Lions remain third on the 16 team log. In the game played at Kakyeka, Makweth Awol opened the score sheet for the hosts im the 26th minute off Jude Semugabi assist after a collision of Custodian Rubangakene with Mbarara’s Jude. 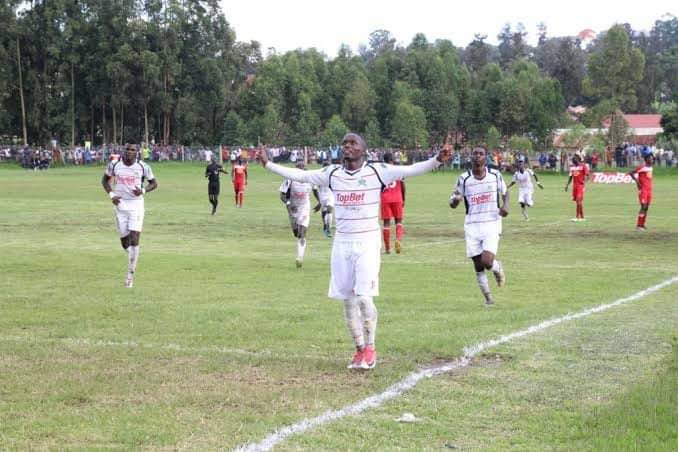 Kirinya tried to level matters through a heavy sent free kick from Nelson Mandela but Custodian Muhammmad Sekkeba was up for the challenge with a brilliant save of the day. Former KCCA FC winger Paul Mucureezi extended the lead one minute to half time recording another assist from Jude Semugabi leaving it 2-0 at half time. The Ankole lions decently closed the score sheet with Jude Semugabi netting past Emmanuel Rubangakene in the 80th minute. Ayiekoh’s side tried to pull one back through Ismail Kawawulo but all efforts where put to waste as the hosts could not allow a break through. Ayiekoh called off George Kasonko for Fred Amaku to boast the striking line while Jerome Kirya for Vincent Zziwa as Jude Ssemugabi was named Pilsner player of the match on both sides. Muhammad Ssekeba (GK), Stephen Ethieno, Jasper Ahebwa, Hillary Mukundane, Asuman Alishe, Pistis Barenge, Paul Mucureezi, Jude Semugabi, Macqueth Awol, Swalik Bebe, Ibrahim Orit.